Optimize your home cooling system and enhance the exterior of your home with the Functional Half Round Gable Vent Louver. It is available in a full range of sizes to compliment your home. The Functional Half Round Gable Vent Louver is crafted in urethane, an excellent alternative to wood. Urethane has the feel of pine, it takes paint well, and stands up to weather conditions that often cause warping, rotting, cracking and peeling in traditional wood gable vents. Our urethane vents also retain less heat than aluminum vents. 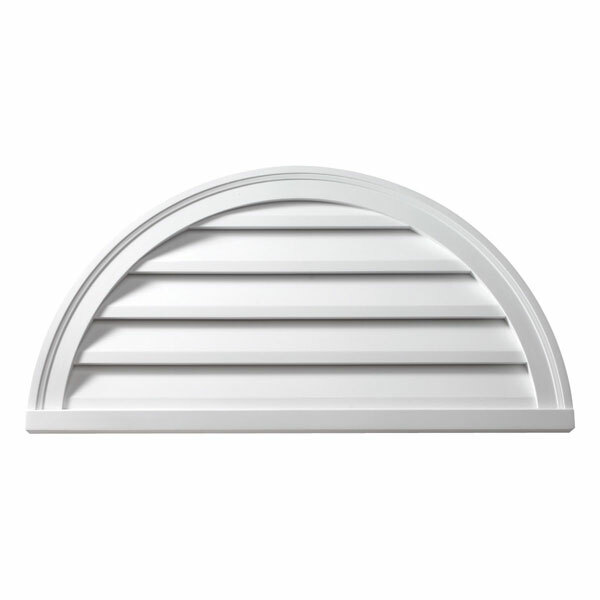 The Functional Half Round Gable Vent Louver is delivered to you ready for painting and easy installation.